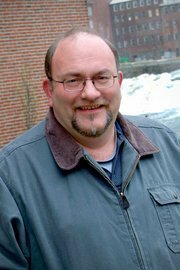 Biddeford City Councilor Bobby Mills has a lesson for all of us who use social media. It doesn’t matter much if the NSA has tapped your phone or if Google is using your online data to create a psychological profile, you have a responsibility to be careful about what you share on social media outlets. Mills, an elected official, is upset that he was contacted by a local newspaper regarding a potential conflict of interest issue. According to Mills, the newspaper received an anonymous tip regarding something he posted online. I’ll let Mills tell the story . . .
“Interesting enough I just got a phone call interview from the Courier. Someone made an “anonymous” complaint about the unsuccessful Go Fund Me page I set up back in October/November for assistance in our down payment for our lease to own home. Since this page was only created for my family and friends on Facebook I’m simply amazed. “The complaint was about public officials creating pages seeking donations and conflicts of interests that it may generate. Seriously. My family doesn’t live here and any friendships in Biddeford would never be in a situation to assist us if they could. Nonetheless conflicts of interests? Amazing. Bobby Mills and I have not always seen eye to eye. In fact, I’ve often been one of his loudest critics. But in this story, I feel some of his pain. Please note: I said some. Mills and every other adult who uses social media ought to understand how those platforms work. Social media is a power tool in the realm of mass communication, and like any other power tool, you can expect really bad results if you don’t follow some basic guidelines. Mills said he posted his personal request for the benefit of his family and friends. He didn’t expect criticism or harsh comments about his financial situation from outside his circle of family and friends. While I sympathize with Mr. Mills’ situation, his defense is extremely weak. He wanted to raise a lot of money (thousands) to help secure a down-payment for a home. You don’t post something online if you don’t want a lot of people to see it. Rule No. 1 of social media: Never post or tweet anything that you wouldn’t want to see on the front page of tomorrow’s newspaper. Bobby Mills likes to use social media. In fact, he’s set up a Facebook page for a second run at becoming Maine’s next governor. Criticize him for that, if you want (and I will . . . later), but don’t knock the guy for being in a tight financial spot and then attack his character because of that fact. Times are tough for a lot of people. There’s nothing wrong with asking family and friends for help. It’s a tough situation. If you haven’t experienced it, thank your lucky stars. Raising questions about whether Mills’ original fundraising post constitutes a potential conflict of interest is a bit of a stretch. By all accounts, Bobby Mills is a good husband and father who loves his kids. He holds several jobs and works hard. He gives a lot back to his community. His only crime here is being a bit naïve about how social media works. However, if Mills still serves as a member of the Biddeford Housing Authority, and if the home’s sale is connected in any way to that agency, then Mills needs to put some distance between his personal objective and his role as a city official. Elected officials are treated differently by the media for good reason. When you run for office you have to expect that. And when you post something on Facebook, you should expect that a lot of people will see what you may not want them to see. UPDATED: Bobby Mills is NOT a member of the Biddeford Housing Authority. I neglected to mention. This is the 2nd time you’ve written about me & my home. Should I be honored? Or are you like the Courier running out of stuff to write? Another update Randy, I didn’t set up a web or Facebook book page to run for governor. Someone else did. Your nemesis, Karl Reed. As you will see from my comments, I have no interest in running for governor of Maine or any other state.